Sometimes it’s just a mood that comes and goes, other times it can be a chronic feeling of malaise, unease, or plain frustration associated with going to work every day. While many people can feel like this about their job from time to time, it’s particularly hazardous for physicians given their job of treating, caring for, and healing patients. Whether in yourself or in colleagues, doctor burnout has symptoms to watch for, symptoms that are critical to catch before they become too serious. 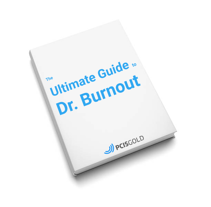 In particular, there are seven key signs to watch for which could indicate that you or a provider you know may be suffering from physician burnout. One potential sign is lack of energy or not having the original excitement you or a coworker had for medicine and treating patients. 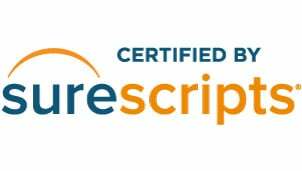 You may not feel up to charting all your patients from your daily appointments or catching up with your electronic health records. You may find yourself simply not feeling as sharp as you once did. Having short, clipped responses to questions, not wanting to help out a coworker dealing with a problem or diagnosis, or otherwise lacking patience can be another sign of physician burnout. Physicians increasingly rely on each other for second opinions and consults, and lacking the patience to help on a regular basis can be a problem. Sometimes a physicians or providers might feel like their career isn’t going where they thought it would. They feel like there’s no end in sight, no excitement to the job, and nothing to look forward to that would break up the everyday routine. Another sign burnout is occurring could be the feeling that you aren’t accomplishing or getting credit for the work you do. Perhaps you perceive others are getting more credit for doing the same work or are getting more interesting opportunities. This can lead to a feeling of “going nowhere” and lead directly to doctor burnout. Both professional and personal disengagement and distance from the job can be signs of physician burnout. This is a particularly damaging aspect, as it can also lead directly to lower patient satisfaction with the medical care they’re receiving from you or another provider. Disengaging behavior can also affect relationships with friends, family, and coworkers, leading them to pull away, and further fueling the frustration of burnout. Most physicians got into medicine because they felt a higher calling to help heal the sick and improve patient’s lives. As doctors start to burn out, providers can lose sight of this purpose, which makes it hard for them to continue to practice medicine with the same passion they once did. 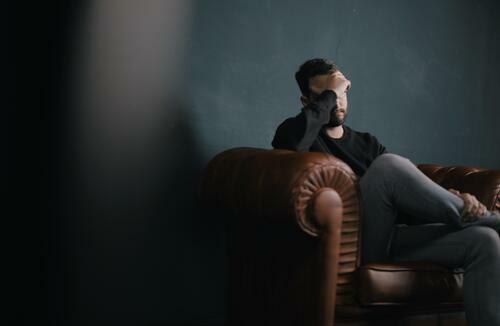 Like feeling stuck in a rut and having lower job satisfaction, increased frustration can lead to annoyance, at best, and anger and withdrawal at worst. As uncomfortable as it is to see physician burnout in a colleague—or even worse to recognize it in yourself—there are ways to fight it. See 10 Ways to Fight Doctor Burnout for some ideas to combat the stress, unease, and discomfort that can come with physician burnout to help you or a colleague re-engage in your practice and with your patients. Identifying these symptoms early, as well as fighting burnout before it gets too serious, is critical for you, your practice, your patients, and your loved ones.